Composed by Joonas Kokkonen (1921-1996). Score. Published by Fennica Gehrman (FG.042-08255-3). Kokkonen's three string quartets form the back!bone of his chamber music output. 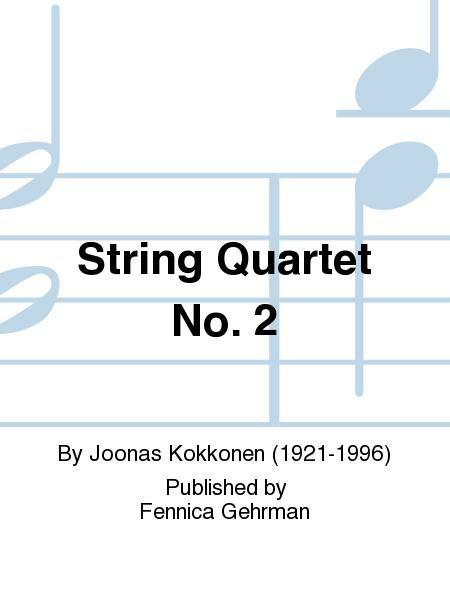 The second quartet marks another watershed in Kokkonen's development, being the last work of his dodecaphonic period before his move into a free-tonal style.